For most families, lawn mowing is a weekly recurring source of agitation and arguments of who's turn it is or who has the time. As well as working around the rain and sports. 1. It is cheaper than you think. 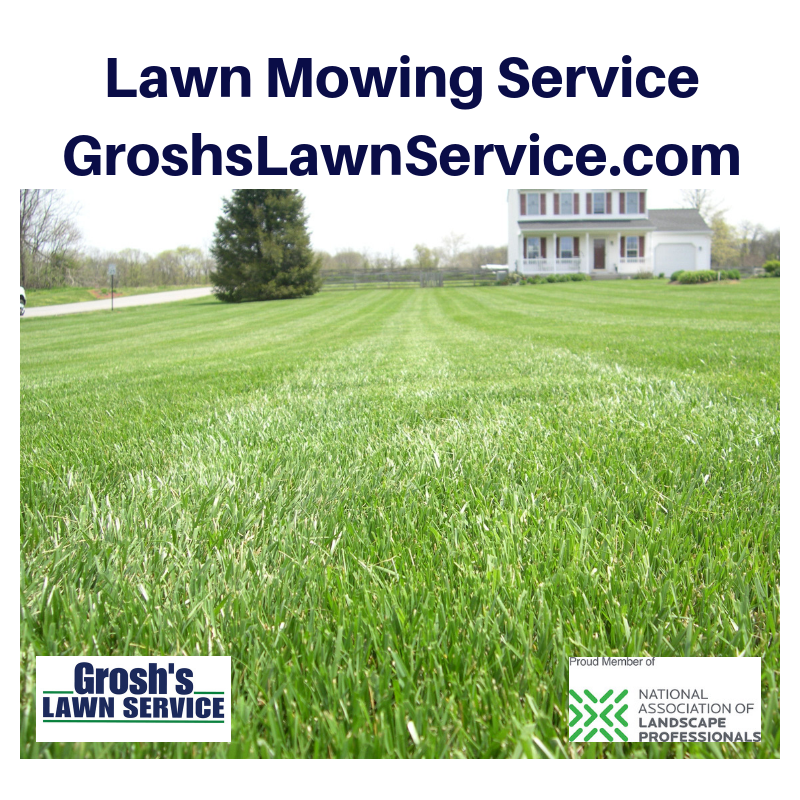 When you hire Grosh's Lawn Service for lawn mowing service to care for your weekly lawn mowing after you factor the lawn mower, gas, blade sharpening, yearly service and the agitation of the ethanol it really is cost effective. Remember trying to get the string trimmer started and then it running out of trimmer line? Oh the hand blower. The time you spend running back and forth from the convenience store for gas and then hauling the gas in your vehicle and to the dealership you have wasted hours of your life. 2. You will have more free time. More free time for what really matters, Life! Your family, friends, non-profit, local community activities, church or your hobby, the choice is up to what you invest your free time in but we can guarantee you you will be happier! 3. The lawn will be mowed correctly. Our professional lawn mowing service has the equipment to properly care for your lawn all season long and make you lawn look beautiful each week. 4. You'll be contributing to the local economy. Local lawn mowing services has local ties to the community from labor, equipment, fuel, materials and local property taxes. 5. Your lawn will have never looked better. 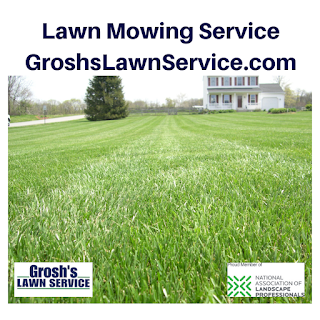 When your lawn is mowed with Exmark mowers from Grosh's Lawn Service your lawn will look like the ballpark. Your lawn will be the best looking lawn in the development because we love what we do!